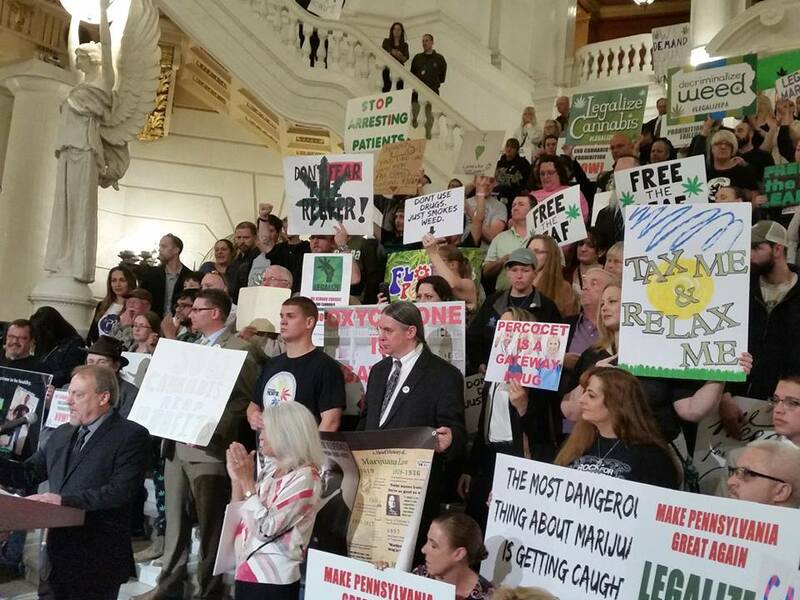 We just passed a grim anniversary that marks the 82 year anniversary of the war on cannabis and hemp in Pennsylvania. 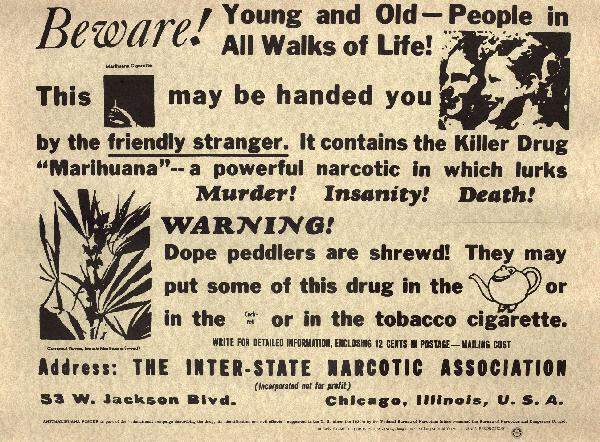 “Marihuana” prohibition went into effect in the Keystone State on September 1, 1933. It had been passed and signed by Governor Gifford Pinchot on May 22, 1933. Cannabis was always grown in Pennsylvania, from 1681 until it was banned. We do not have any idea how many people smoked cannabis for intoxicating effects but we do know that from at least the 1840’s until the 1920’s it was widely used in tincture form as medicine. 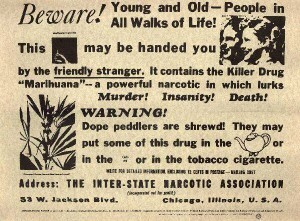 Cannabis medicines were advertised in the early newspapers for many decades and sold in every pharmacy throughout the state. There were many companies in Pennsylvania who manufactured cannabis extracts and often grew the cannabis in their “pharma farms”. 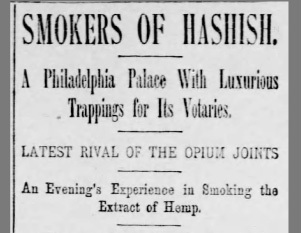 In the 1870’s and 1880’s we know that there were hashish parlors in Philadelphia and believe they existed in other cities in Pa.
By the 1880’s hemp was holding strong in the Schuylkill Valley and a few other parts of the state but was no longer a huge industry here anymore. 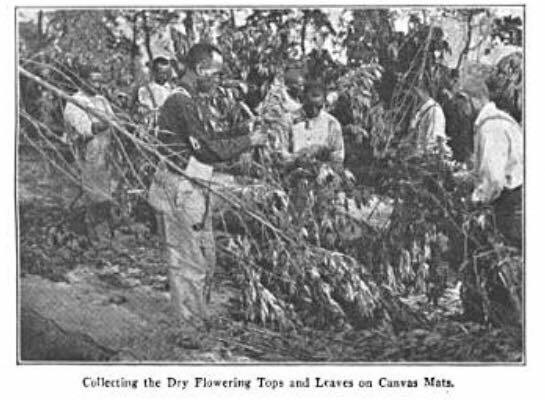 Still, it was a common garden crop and tens of thousands of acres grew wild. Many farmers grew hemp for poultry feed and other non-commercial purposes. 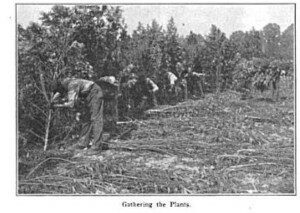 In the early 1900’s there was resurgence of interest in hemp and the industry went through a revival, especially in York, Adams and Cumberland counties while farmers continued to grow it in Lancaster, Berks, and elsewhere for non-commercial purposes. Although we do not know to what extent Pennsylvanians smoked cannabis before the 1920’s we do know that during that decade the use of cannabis buds became widespread and that is an absolute fact. You see, a curious thing had happened. In 1919 the 18th Amendment was passed making alcohol illegal. During the whole time period of 1919-1933 when you couldn’t legally get a drink a person could go out and grab all the armfuls of wild hemp that they wanted. There are many reports of people smoking the wild hemp. Some say that weed was very mild while others say it was shockingly strong. This is probably because some of the wild hemp was descended from crops grown for fiber and other fields descended from seed marketed as birdseed. People were also more sophisticated than you might think. If they were not growing the good stuff before the 1920’s they definitely were then. By the 1930’s it was reported that there were people growing “marihuana” all over the state and many large scale “reefer merchants”. By 1932 the Pennsylvania State Department of Health had become alarmed. They issued warnings. It was claimed that Mexican migrant workers had brought the weed here and that it was sparking industrial unrest among labor unions, causing people to lose their minds and increasing crime. In November of 1932 a man named Chester A. Mohn from West Lawn in Berks County was elected as State Representative. He hit the ground running and by March of 1933 he introduced his proposal to ban “marihuana”. The amendment sailed through and in two short months it was signed by the governor. Five months later it went into effect. Many people barely took notice because they were excited about something else. The month that the prohibition of cannabis and hemp went into effect the sale of beer became legal in Pa. Two months later the national prohibition of alcohol fell. Immediately the arrests started and the war on cannabis and hemp began. What has happened in the last 82 years? Are there more people smoking cannabis now or less than in 1933? I think it is recognized by all that cannabis and hemp prohibition in Pennsylvania has been a devastating failure. They have not stopped the widespread use of cannabis for relaxation or fun. The only thing they have prevented is sick people from getting medicine and farmers from growing industrial hemp. Keystone Cannabis Coalition is fighting to end the insane prohibition of cannabis and hemp. We intend to stop the 82 year war on our citizens over a plant. On this anniversary we recommit ourselves to the fight and invite all of you to join us as we take back our essential freedoms. 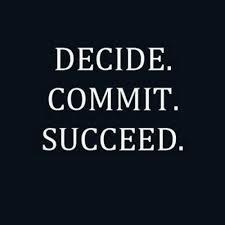 If the spirit is moving you, please make a donation to continue our important work. Thank you.